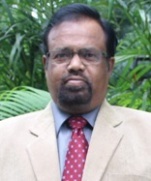 Possesses over 33 years of top level experience (Board Director, Country Head) in investment banking, primary capital market, management teaching, research and academic administration. Recipient of ‘Distinguished Management Teacher’ and ‘Rashtriya Gaurav’ awards. Authored three books: 1. Project Appraisal and Financing (PHI) 2.Financial Accounting for Management: An Analytical Perspective (Pearson Education), 3. Inflation Accounting: The Indian Context (Kanishka). Edited 1 book: Gaagar Main Saagar-Self Realization towards Fulfillment. Published 28 papers in leading journals/other publications of repute, 4 case studies with The Case Centre UK/USA, 12 working papers under the aegis of FORE, 4 papers in the proceedings of international conferences in Germany, Macau (China), Thailand and India, 6 chapters in edited books. Presented 4 papers in international conferences. Member of the editorial board of 3 refereed international and 5 refereed national journals. Ph.D. degree of 1 scholar from Jamia Hamdard University completed under his supervision. Travelled overseas extensively for academic pursuits. Member of Doctoral Committee, Department of Management, Jamia Hamdard University and Capital Market Committee, PHD Chamber of Commerce and Industry. Investment banking, Contemporary corporate reporting practices, Project appraisal and financing, Financial accounting, reporting and analysis, IFRS convergence of Indian accounting standards. Investment banking, Primary market, Corporate reporting practices. 1. Project Appraisal and Financing, PHI, 2017(1st edition). 2. Financial Accounting for Management: An Analytical Perspective, Pearson, 2015 (5th edition). 3. Inflation Accounting: The Indian Context, Kanishka, 2000.